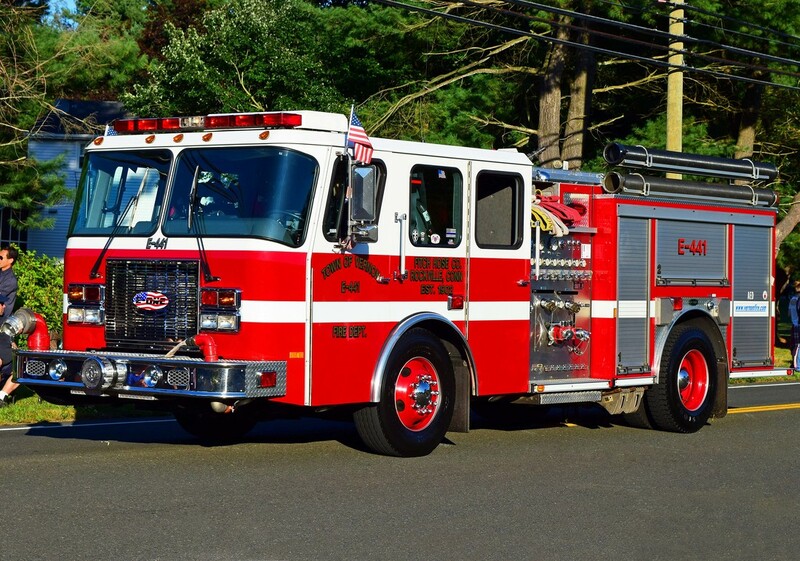 This is the page for the Town of Vernon VFD. 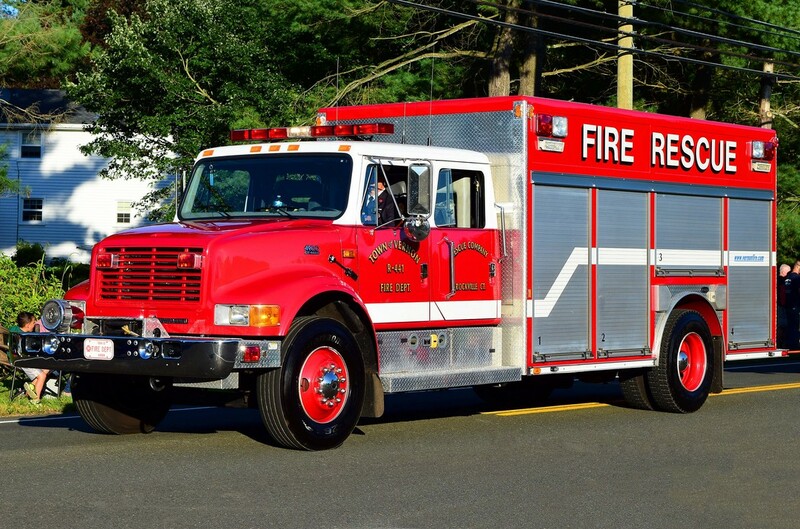 They have 7 engines, 2 ladder trucks, 2 rescue trucks, 3 ambulances, 2 ATV's, 1 haz-mat truck, 1 command SUV, 1 utility van, and 5 stations. 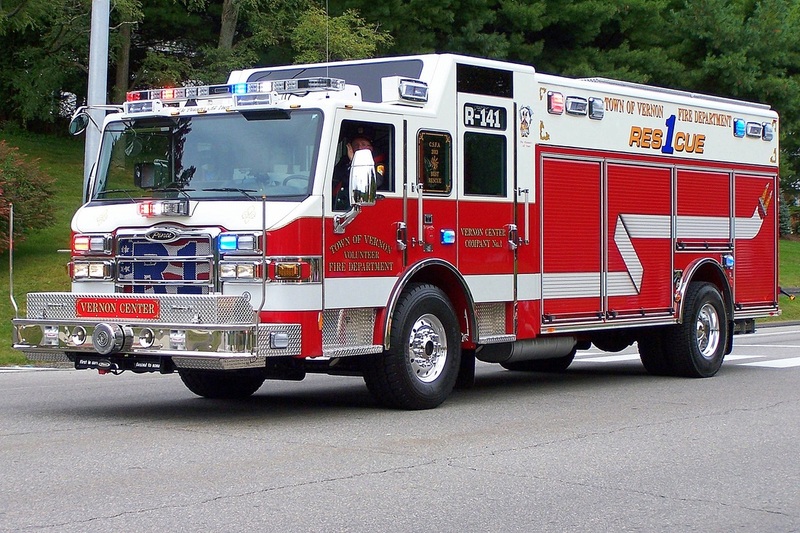 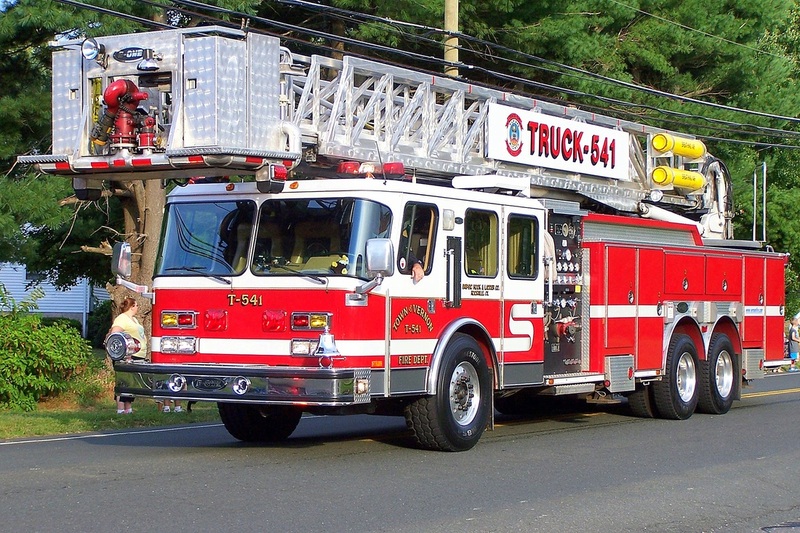 Vernon's Engine 441, a 2000 E-One. 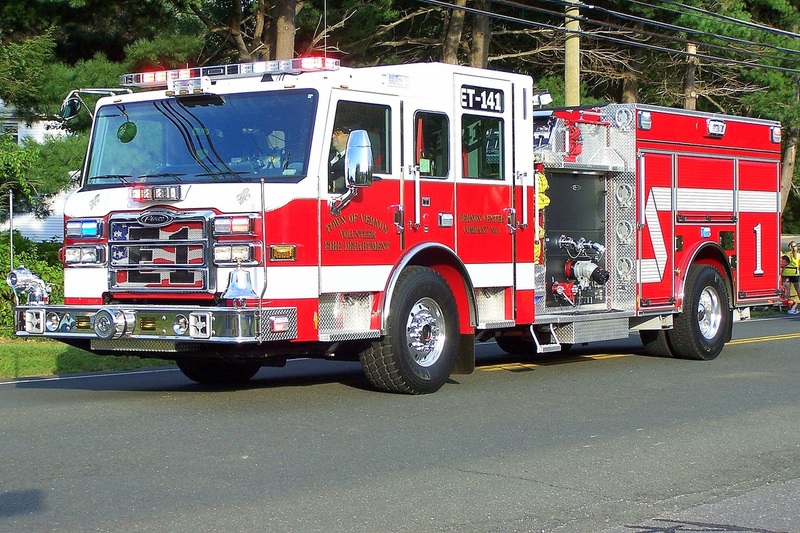 Vernon's Engine Tank 141, a 2012 Pierce Velocity. 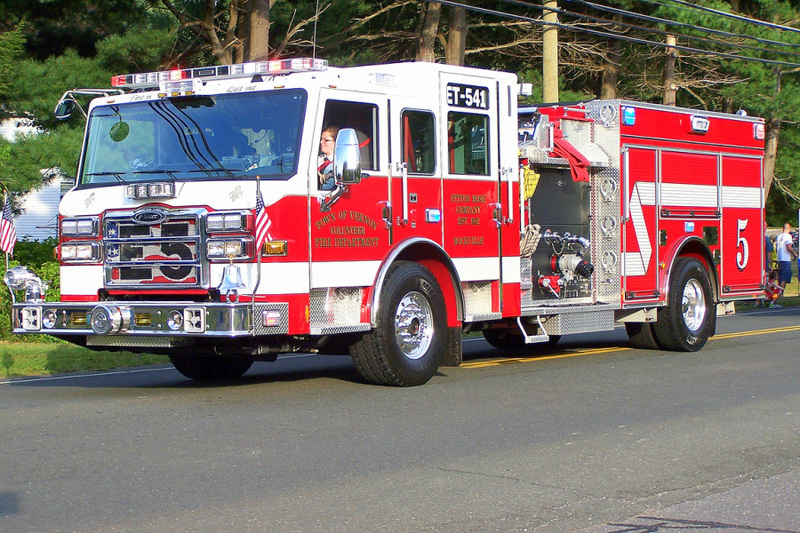 Vernon's Engine Tank 241, a 2003 ALF Eagle engine tanker. 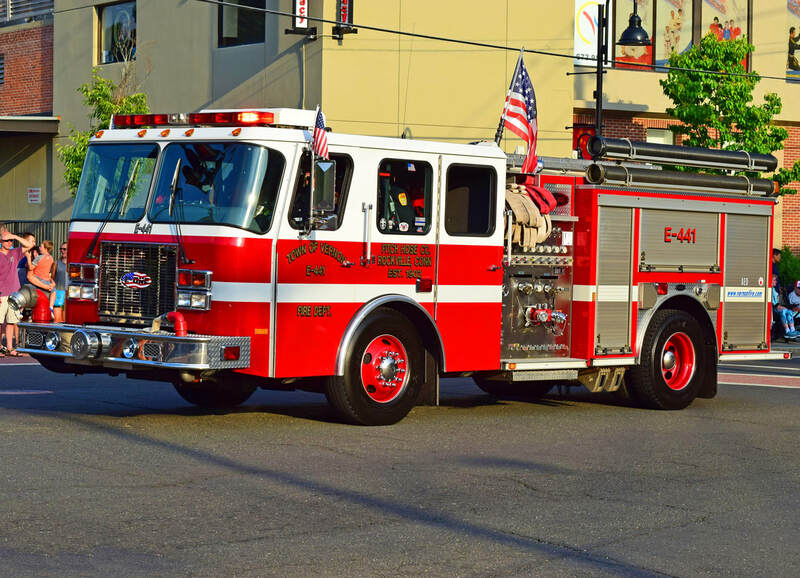 Vernon's Engine Tank 541, a 2012 Pierce Velocity. 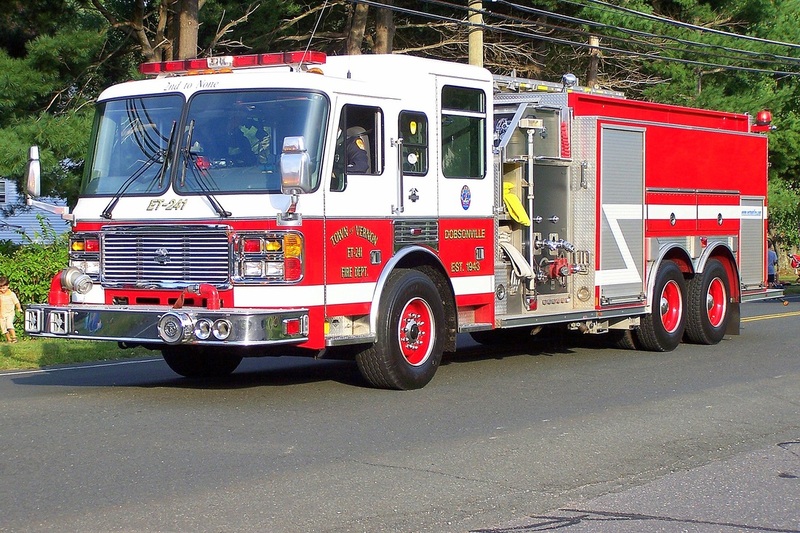 Vernon's Special Hazards 241, a 2005 Freightliner M2/Pierce prime mover haz-mat truck. 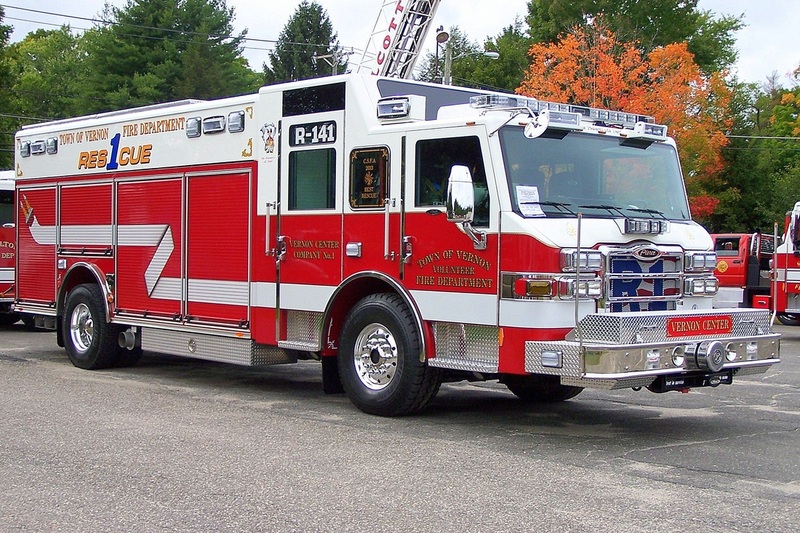 Vernon's Rescue 141, a 2012 Pierce Velocity heavy rescue. 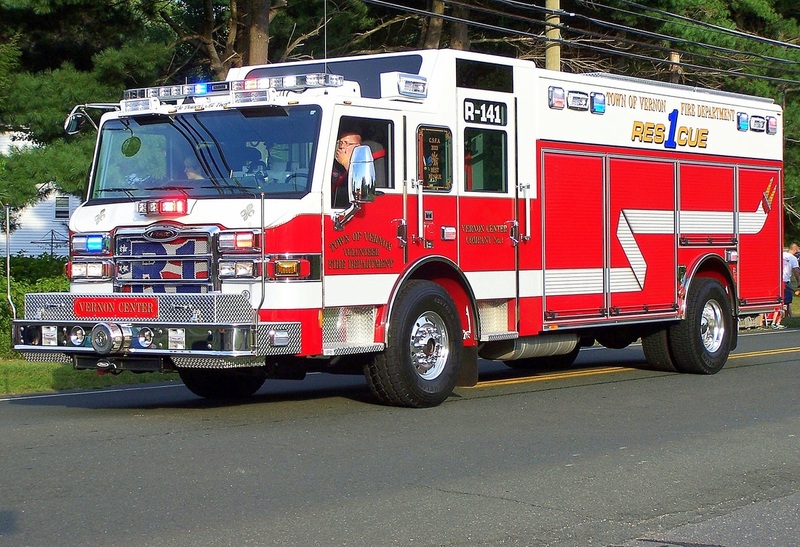 Vernon's Rescue 441, a 1999 International/E-One. 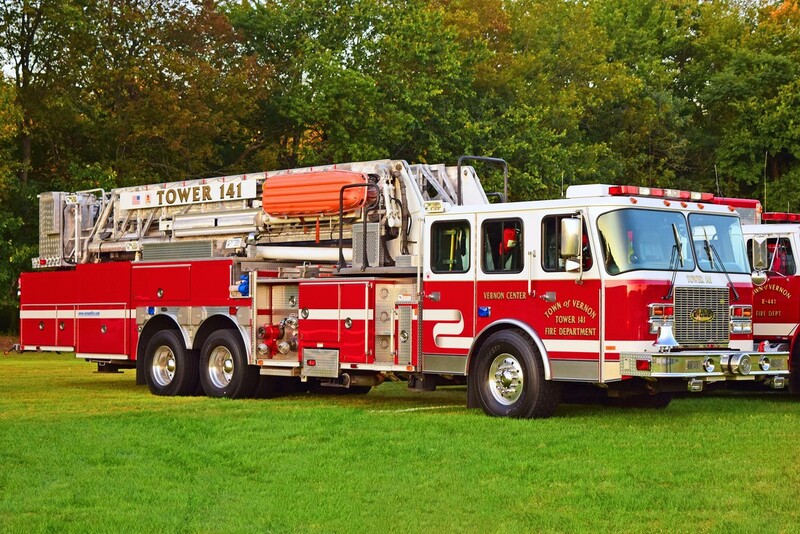 Vernon's Tower 141, a 2003 E-One 95ft MMA. 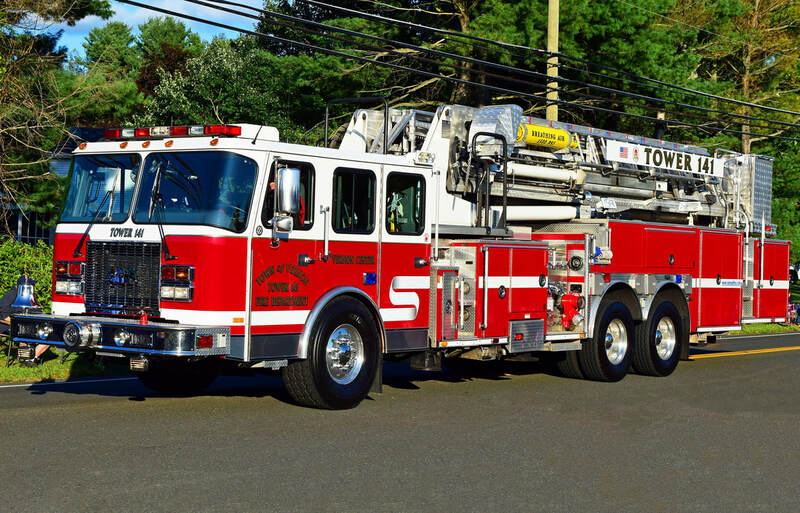 Vernon's Truck 541, a 1994 E-One 95ft RMA tower ladder truck.